At last, a seedless green ash cultivar for the South. 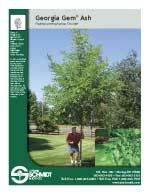 Heat resistance and fast growth distinguish this handsome tree, selected by Dr. Michael Dirr of the University of GeorgiaAthens from native Georgia trees. 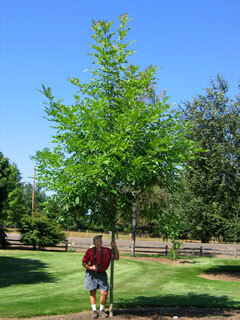 Its dark green, glossy leaves are larger than those of any other ash in the nursery.